Oxygen is the most critical of all the nutrients for we cannot live for more than a few minutes without it. The most important part of oxygen is how it is used in the body and this is called oxygen utilization. 2 As we age our ability to use oxygen decreases as our circulation decreases. Oxygen utilization is the process in the body by which the energy in the oxygen molecule is converted to energy so it can be used in the body. Oxygen is used for all functions of the body including repair of tissues, our thoughts, our senses, reproduction, digestion, hormones, elimination of waste and proper working of our organs such as heart, kidneys, and brain. When our level of oxygen utilization decreases the ability of our body to function optimally decreases. Hypoxia is the term used when there is a deficiency or lack of oxygen. When hypoxia is present there is an excess of free radicals produced and the repair mechanisms of the cell are reduced. The powerhouse of the cell is called the mitochondria and it is destroyed and all cellular activity is reduced when there is lack of oxygen. The result is an overall decline in health and wellness. The method by which oxygen is increased is through the administration of ozone. Ozone, known as 03 is a molecule made up of 3 oxygen atoms. Ozone is made by passing pure oxygen gas through a tube where energy is directed. Ozone is an unstable molecule and within a matter of minutes the ozone molecules will react with each other to form the more stable oxygen (02) molecule. What Conditions are treated with Ozone? Any chronic, degenerative disease can benefit from ozone therapy including diabetes, cancer, osteoarthritis, chronic infectious disease, inflammatory diseases, cardiovascular diseases, autoimmune disease, immunodeficiency disorders, and chronic and acute pain. Ozone therapy itself does not cause the healing effect but rather induces the body’s own innate healing mechanisms. Thus, it may be used successfully in any medical condition regardless of the western medical diagnosis. Ozone therapy is not typically a “stand” alone therapy but used with other treatment modalities including acupuncture, nutrition, herbs, and allopathic (western) medication. There are several ways in which ozone therapy may be administered to a patient. The most common applications are blood transfusion (major autohemotherapy) and rectal insufflation. Other methods include bladder insufflation, limb bagging, topical application, ozonated water, joint injections (Prolozone), and sauna. Prolozone Therapy is a pain rehabilitation treatment developed by Dr. Frank Shallenberger in the 1990’s. Prolozone Therapy is derived from the Latin word “proli” which means to proliferate, regenerate, and rebuild. It is a safe and effective non-surgical treatment for many kinds of acute and chronic musculoskeletal painful conditions. Prolozone Therapy is so named because the treatment uses ozone gas to cause the proliferation, regeneration, and rebuilding of new ligament, tendon and cartilage tissue in areas where they have become weakened. Dependent upon the health condition treated, ozone therapy may be administered daily. The frequency of treatment is dependent upon the nature of the patient’s condition and how it is administered. With Prolozone, most patients will benefit from treatments every 1-2 weeks. Acute conditions may need 3-6 treatments to resolve. Patients with chronic health conditions, including painful conditions may need ozone therapy with follow-ups every 1-2 months long term. Additional information regarding ozone therapies may be found at the following website: www.DrsOzone.com, Information for patients and physicians. Ozone therapy is an extremely safe and effective treatment for a variety of health and painful conditions. 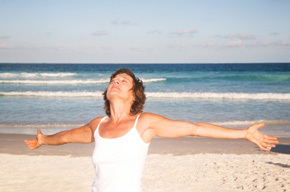 Ozone treatment increases the oxygen utilization in the body that decreases as we age. Ozone therapies may be administered in a variety of methods dependent upon the condition to be treated and Prolozone is the treatment of painful musculoskeletal conditions. Ozone may be used independently or with other treatments. Ozone is a treatment to be considered to address a variety of health and musculoskeletal conditions rather than treatments involving prescription medications, steroid injections and especially surgery. 1. Speakman JR, Talbot DA, et al. Aging Cell. 2004 Jun;3(3):87-95. 3. Frances Sizer; Ellie Whitney (12 November 2007). Nutrition: Concepts and Controversies, Cengage Learning. pp. 26–. ISBN 978-0-495-39065-7. (12 November 2007).